This beautiful 3D laminated poster helps to enhance the beauty of your Sukkah. it comes with the glasses needed to see the full beauty of the poster Also . Also available are a variety of posters, in different sizes and designs including Ushpizen, Brochos and other Sukkos and Judaic themes. 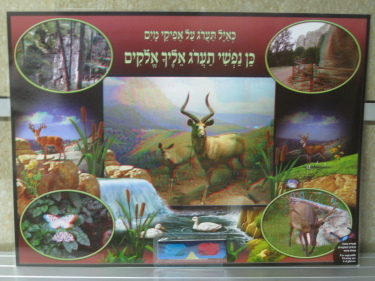 all or Posters come laminated, and can be easily mounted to your Sukkah wall.